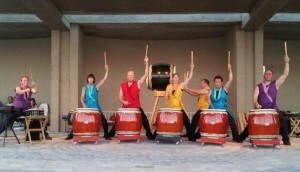 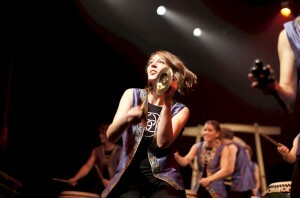 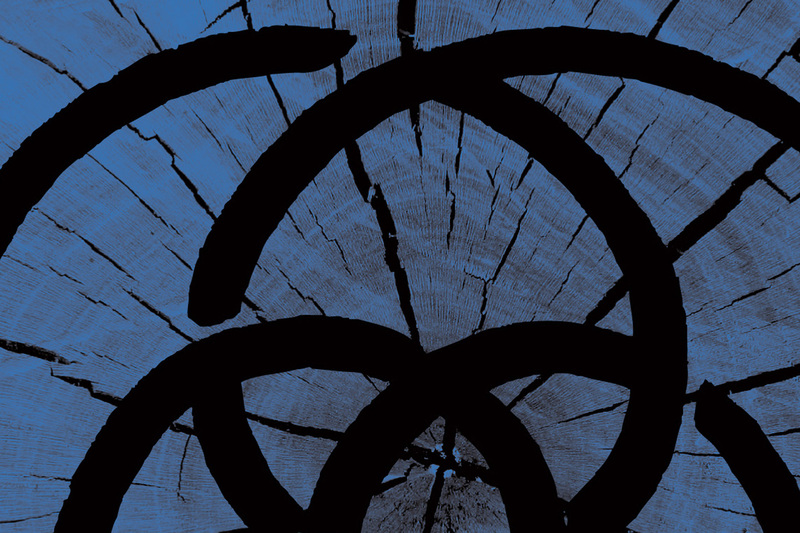 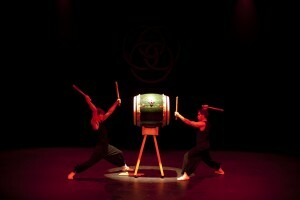 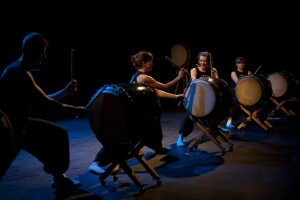 Kagemusha Taiko is a performing arts / education company. 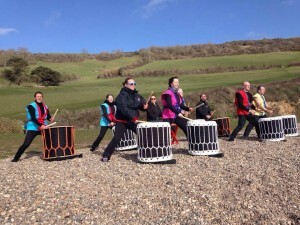 We are limited by guarantee, and registered in England & Wales, company 3823438. 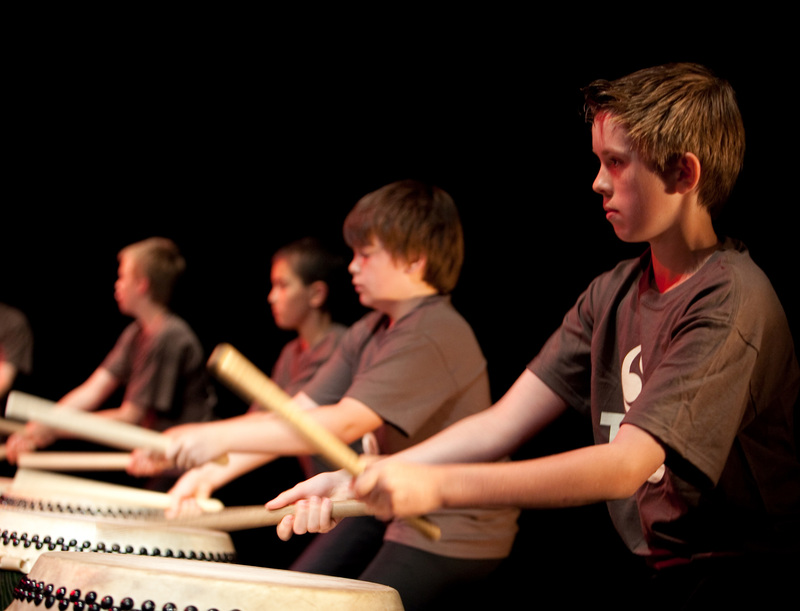 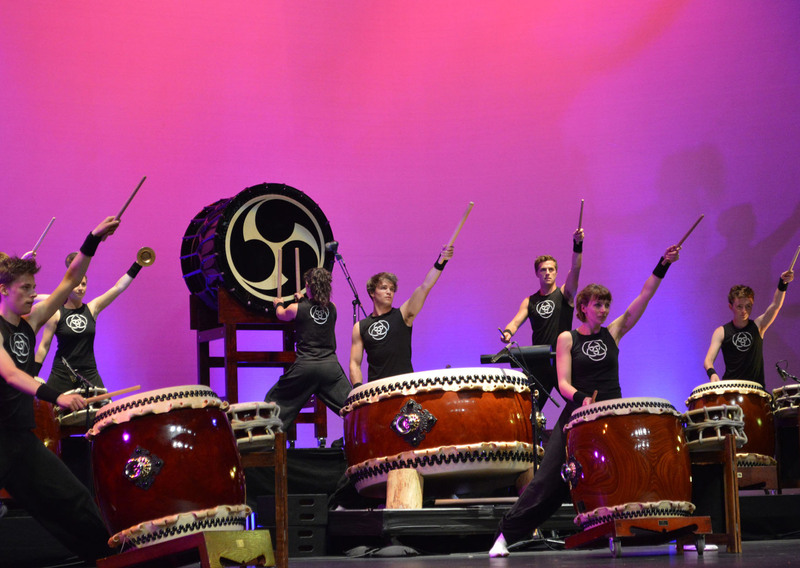 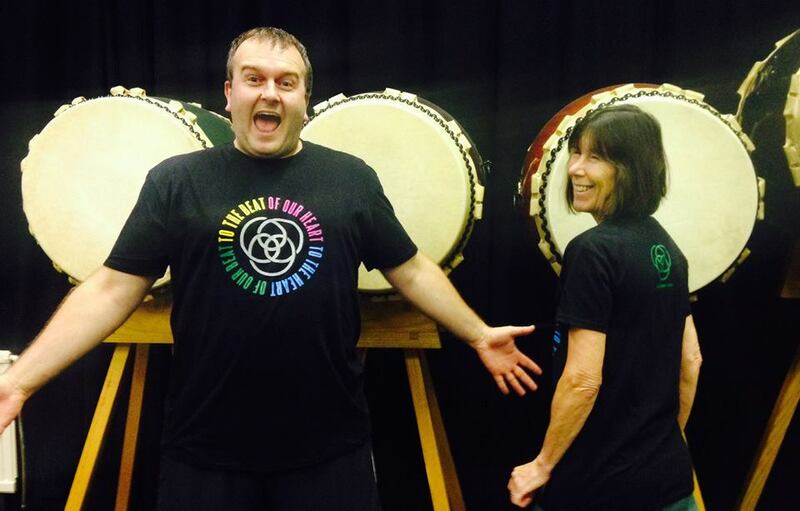 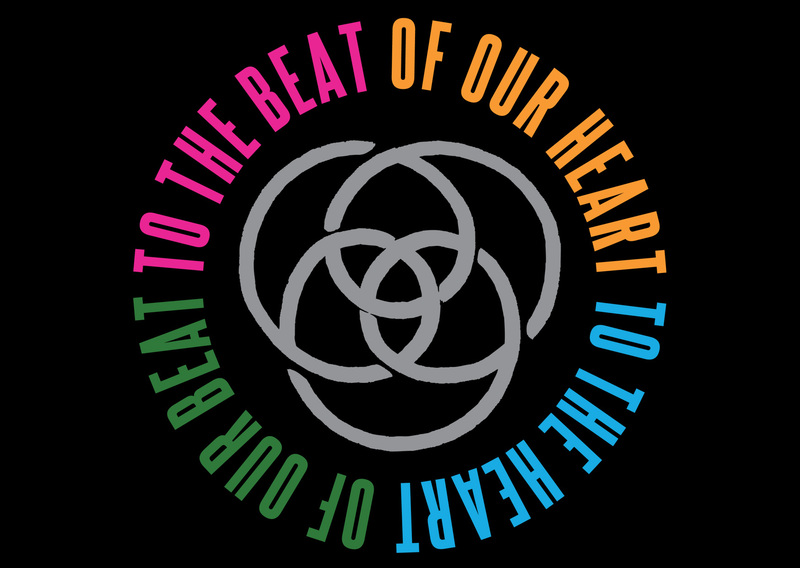 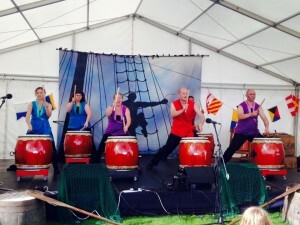 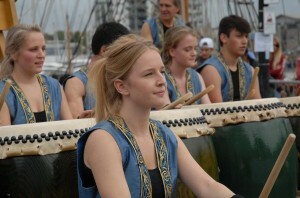 Our Vision – a taiko group in every town, and a group in every school. 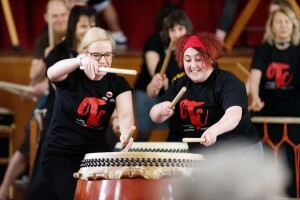 We believe, and our experience shows that taiko training and performance can have a beneficial effect on people’s lives – not least because it is so enjoyable. 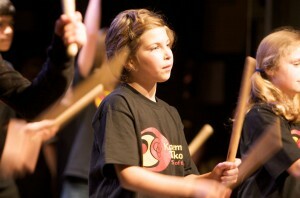 In our view, it’s the more the better when it comes to numbers of taiko players and taiko groups. We are delighted to play our part in helping others to start learning and to create and develop their own groups and schools. 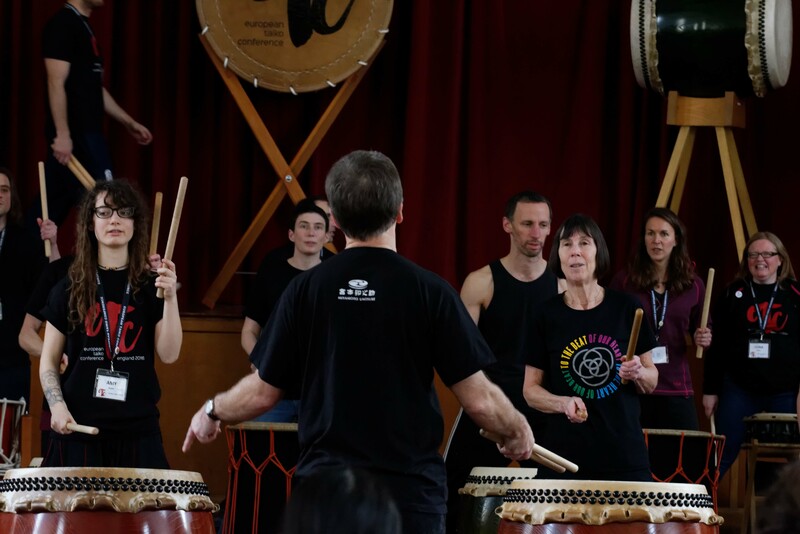 Our Mission – to enrich people’s lives through the experience of taiko drumming, whether as participant, performer or audience member. 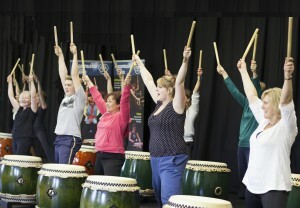 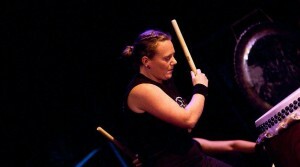 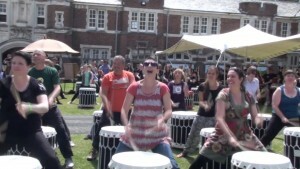 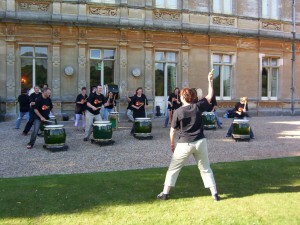 We create, perform and teach exciting, original repertoire, forging a new style of taiko here in the U.K. Through our extensive training programmes for young people and adults, we seek to provide everyone with an opportunity to learn and perform taiko in a way that is appropriate for them. 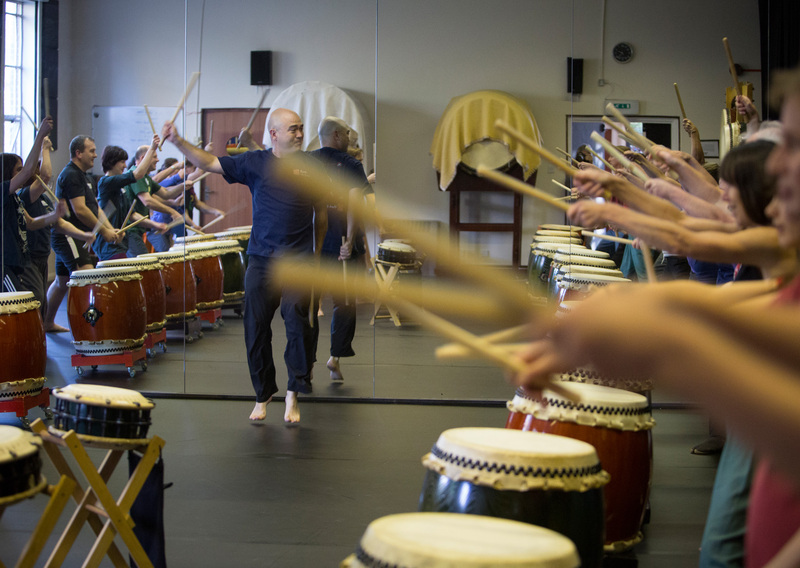 We will help give taiko a national presence in the U.K. while seeking to improve understanding between cultures through international artistic collaboration. 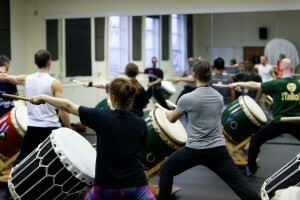 Everything we do is based on four principles: attitude, technique, kata and ki. We proceed on a basis of openness and uncompromising integrity, respecting ourselves and each other and behaving in a manner consistent with our taiko principles. 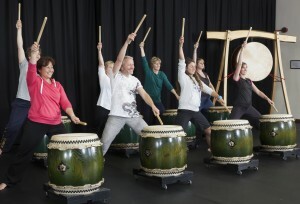 We believe, and our experience shows, that taiko training and performance can have a beneficial effect on people’s lives. 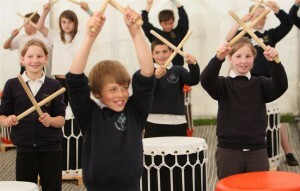 We continually work for positive outcomes. 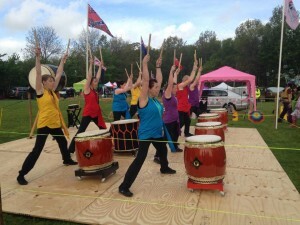 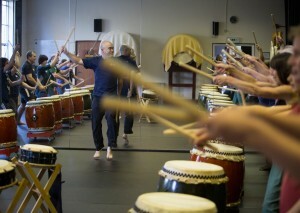 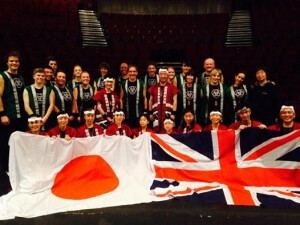 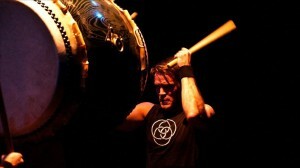 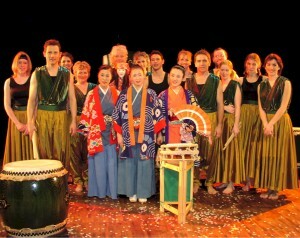 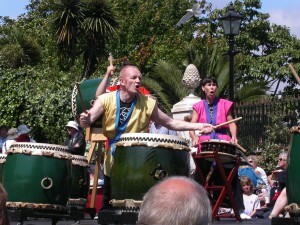 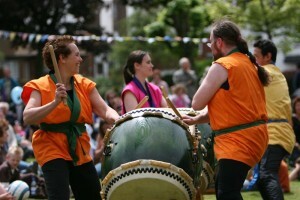 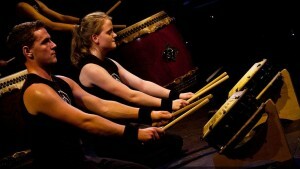 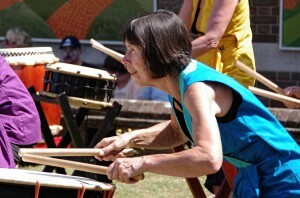 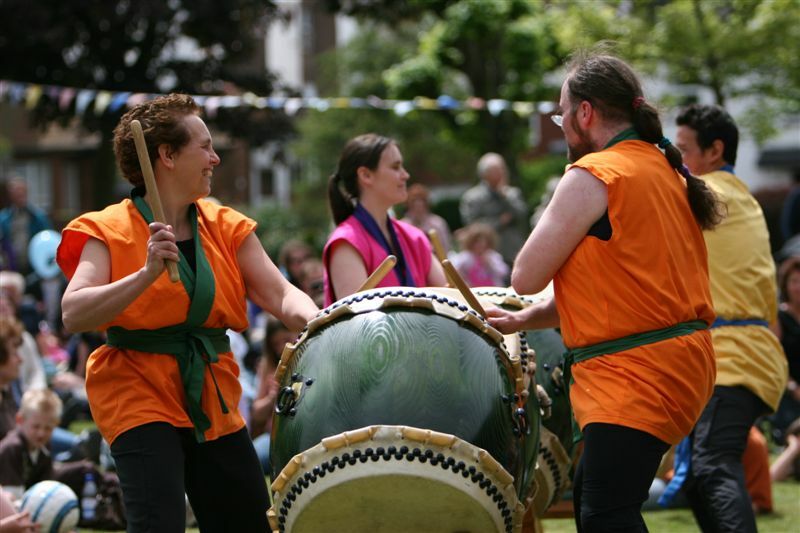 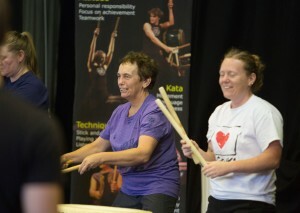 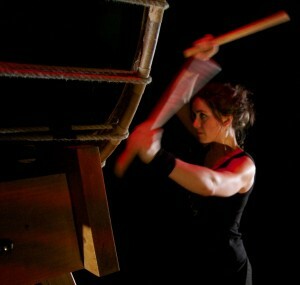 We seek to understand and teach the history and traditions of taiko, while building our own tradition here in the UK. 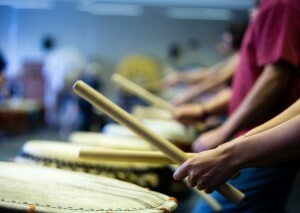 Taiko is diverse and heterogeneous. 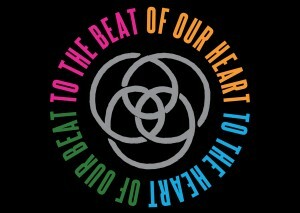 It is creative, not defined, prescribed or limited by any authority. 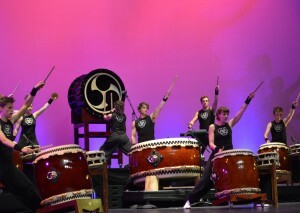 We strive for excellence. Equally, we believe that taiko is accessible and we endeavour to include everyone. This short video provides a quick tour of our Taiko Centre, in its campus setting at Seale Hayne, in the heart of the Devon countryside. 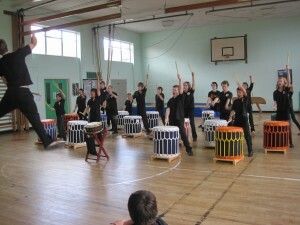 Taiko visitors from the USA have nicknamed it “Taiko Hogwarts”!